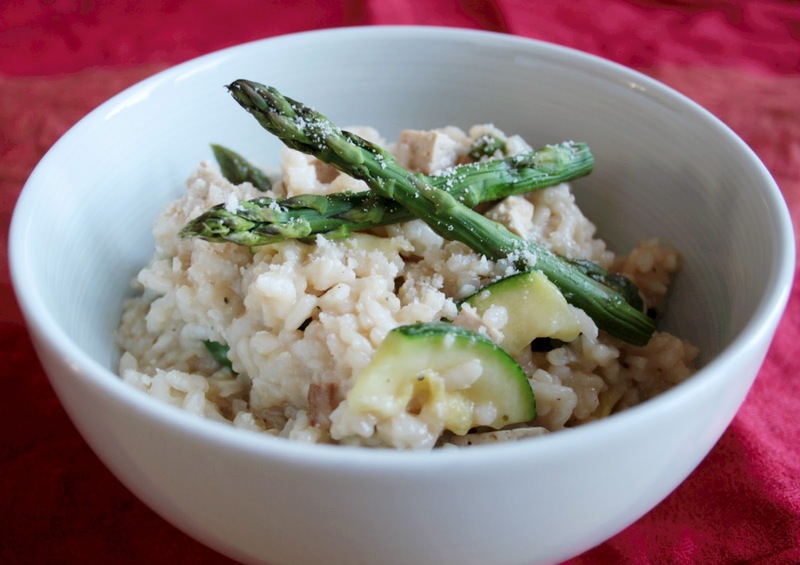 I teamed this with some asparagus tips and smoked tofu and it was just perfect for my comfort food craving! This recipe will make enough for about 4 portions (2 if you're very hungry!) and is ok to refrigerate and reheat, just add a little water when you microwave so it doesn't get too stodgy. Start by finely chopping the onion and crushing the garlic. I also sliced the courgette and tofu into small chunks. Over a low heat soften the onion and garlic. 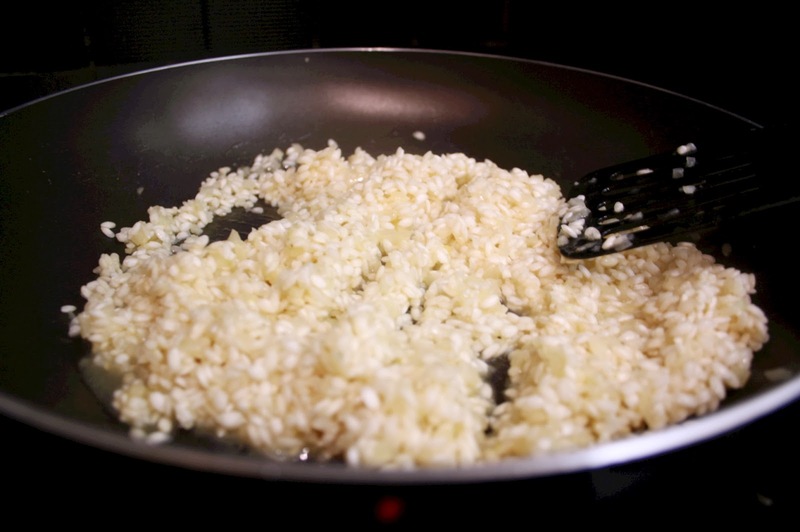 Add the rice and make sure it's thoroughly coated with the oil, onion and garlic. Turn up the heat to medium and add a ladleful of the vegetable stock. Stir until the stock has been absorbed by the rice then add another ladle of stock. Repeat this until all of the liquid has been absorbed. 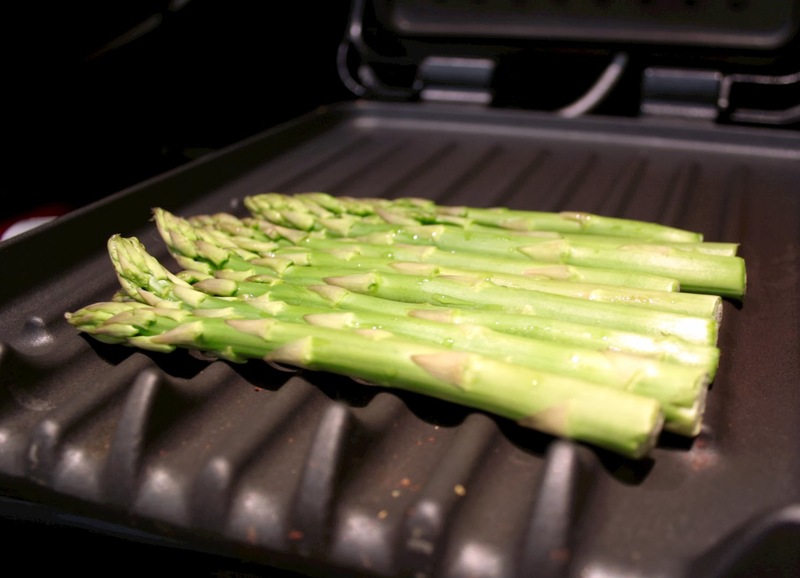 While the rice is cooking, grill the asparagus until softened then slice into centimetre chunks. Once the rice has cooked, add the vegetables and tofu and stir until mixed in and warmed. 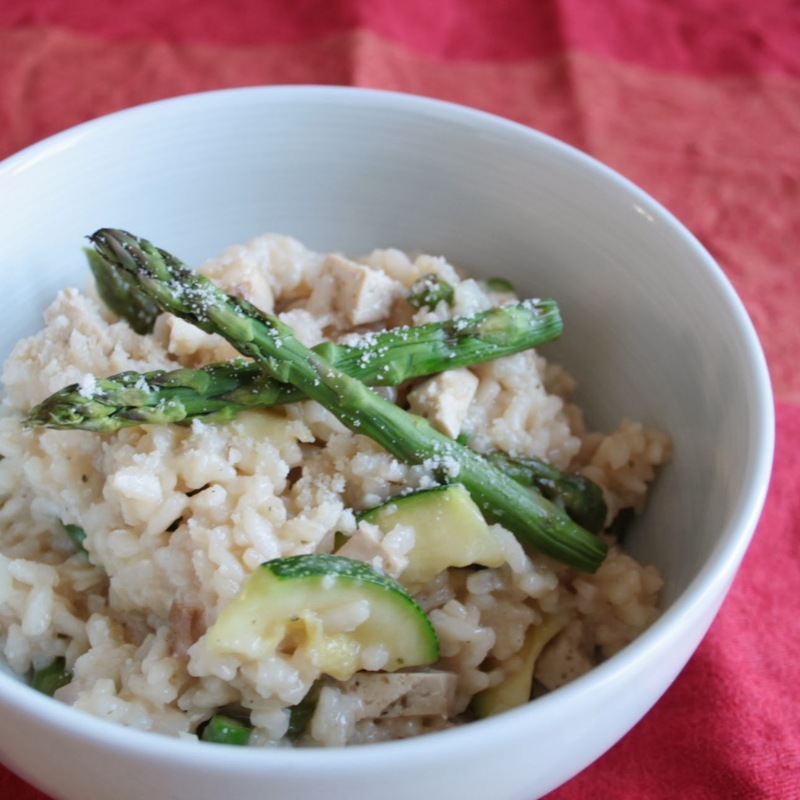 Serve in a massive bowl, sprinkle with parmesan and feel cozy from the inside! Looks good to me. 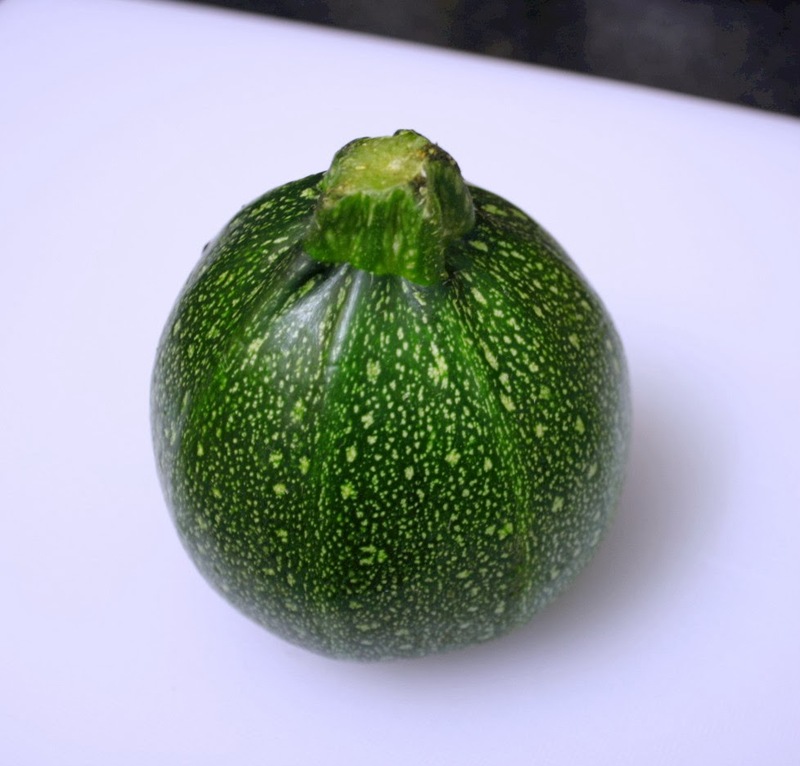 :) We rarely can find courgette in my part of world (Malaysia) and I've not tasted one before. They have quite a mild flavour - I'm sure you could replace them with squash or aubergene as they have similar textures and don't have an overwhelming flavour. 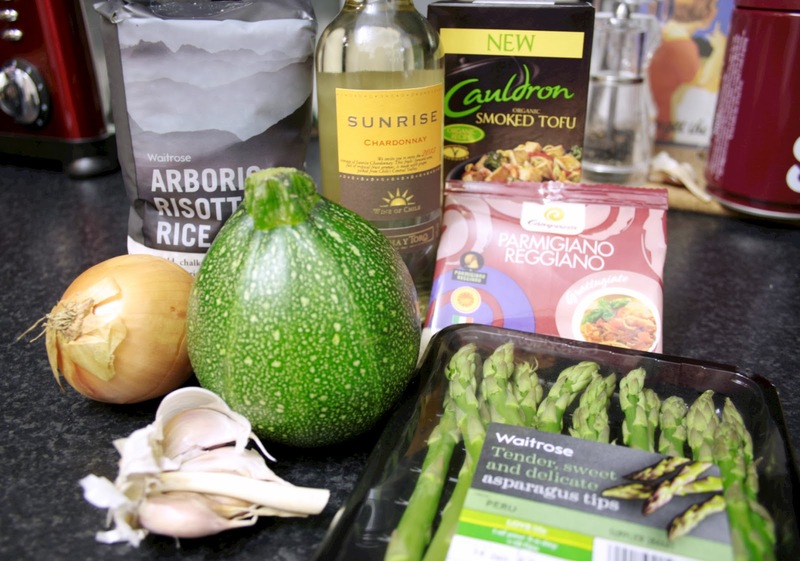 I imagine some roasted green or red peppers would also be delicious in a risotto!